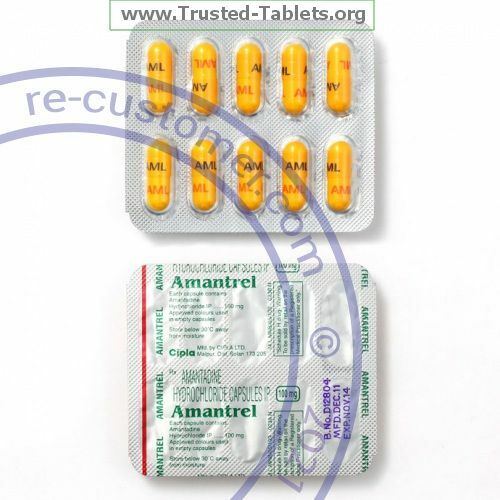 AMANTADINE is an antiviral. It is used to prevent and to treat a specific type of flu called influenza A. It will not work for colds, other types of flu, or other viral infections. This medicine is also used to treat Parkinson's disease and other movement disorders. Take this medicine by mouth with a full glass of water. Take your medicine at regular intervals. Do not take your medicine more often than directed. Take all of your medicine as directed even if you think your are better. Do not skip doses or stop your medicine early. Contact your pediatrician or health care professional regarding the useof this medicine in children. While this drug may be prescribed for children as young as 1 year old for selected conditions, precautions do apply. If you are taking this medicine for Parkinson's disease or a movement disorder, be careful. Slowly increase your daily activities as your condition improves. Do not suddenly stop taking your medicine because you may develop a severe reaction. You may get dry mouth or eyes, or blurry vision while taking this medicine. Try sugarless gum or hard candy, and drink 6 to 8 glasses of water daily. Brush and floss your teeth regularly and carefully to avoid teeth and gum problems. You may want to wet your eyes with lubricating eye drops. Talk to your doctor if these symptoms become a problem. Store at room temperature between 20 and 25 ℃ (68 and 77 ℉). Keep container tightly closed. Throw away any unused medicine after the expiration date.